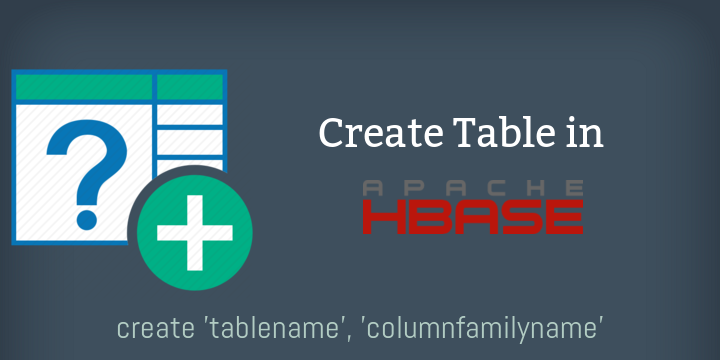 In our last blog post, I shared HBase create table, how to create a table in HBase. In this post, I will be sharing how to insert data in HBase table. As we know, HBase is a column-oriented NoSQL database and stores data column wise. Using put command you can insert a record into the HBase table easily. Here is the HBase Create data syntax. We will be using Put command to insert data into HBase table. No, we need to insert data in HBase table “employee” as per the records are shown in above table. Put ‘employee’, ‘1’, ‘personaldata:Name’,’John’ –> This will insert the Name field for Row 1 in the employee table under PersonalData column family, “John”. With this, now you have all the records shown in above table. Now as we have inserted the data in HBase table, employee, let’s validate whether the records are same what we expected. You can use “scan” command to validate the data. It will list you all the rows and records of the table ‘employee’. This was all about How to Insert Data in HBase table. Inserting records in HBase table is easy and all you need is to use Put command for the same. But with the Put command, you would be able to insert a record every time and if ever you need to do a bulk insert, you will find the issue. In the next blog post, I will be telling you how to bulk insert into HBase table and HBase table Edit & Delete Operation.